The "Marls of Abaco" are a vast expanse of prime bonefish wilderness, situated along the western shore of Great Abaco Island, in the Bahamas. Only 10 minutes away from the Airport, Abaco has more than 400 square miles of flats, none better known than the Marls. They have long been known by well traveled bone-fishermen as one of the most unique and productive fisheries in the world. Bigger and harder fish, can be found on the eastern ocean side of the island. 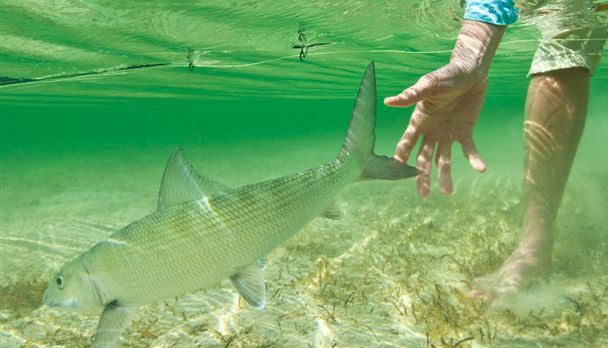 The Marls of Abaco are a vast expanse of prime bonefish wilderness, situated along the western shore of Great Abaco Island. Only 10 minutes away from the Airport, Abaco has more than 400 square miles of flats, none better known than the Marls. They have long been known by well traveled bone-fishermen as one of the most unique and productive fisheries in the world. The Abaco Lodge is centrally located directly on the Marls side of the island, with unrivalled access to the flats. For twenty miles the average depth is four feet. It would take a lifetime to fish the entire Marls alone, but Abaco also offers some incredible fishing on the eastern ocean side of the island, for those in pursuit of bigger, harder fish. 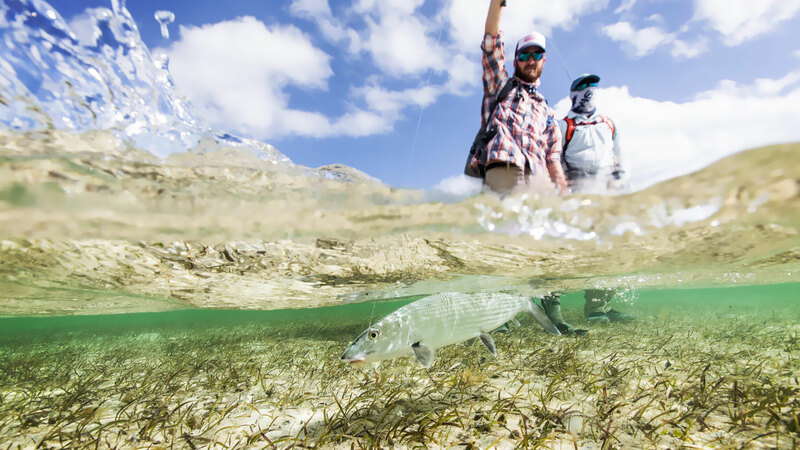 A natural habitat for bonefish, with miles of pristine flats full of eager bonefish. The majority of the fishing is done from the boat, but wading opportunities do exist. The chances of seeing permit, juvenile tarpon, shark, or 'cuda are always present, so be prepared. Picnic lunches and cold drinks are taken to the flats in a cooler. 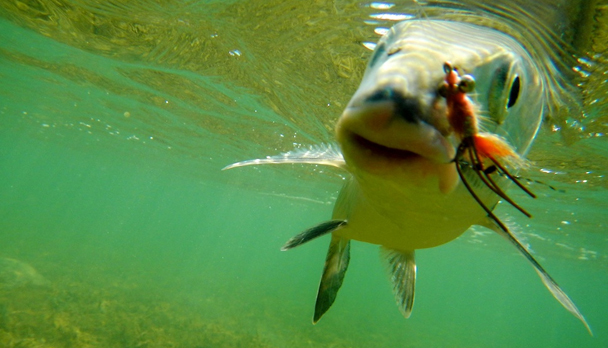 The lodge has established itself as a household name in the fly fishing world. Demand for peak weeks is high, often booked by repeat groups who stake their claim for the following year the day they leave the lodge. You can expect comfortable and well appointed accommodations, world class cuisine, top of the line boats operated by expert guides, and a staff committed to providing the utmost service and attention to detail. The lodge accommodates up to 10 anglers in single-suite bedrooms with air conditioning. After a long fishing day you can relax in the swimming pool, or enjoy other facilities such as; dining room, reading room, bar and a fully equipped fly-tying table. The lodge also offers laundry service and a fly shop fully equipped with flies, rods, reels and lines. Nine foot, #6 Wt to #9 Wt fly rod with 200 yards of 20lb backing and saltwater type floating lines. 8 to 12 ft bonefish leaders with 8 to16 lb test tippets. Tan and pink patterns work best. "Gotcha's" are especially effective as well as shrimp and crab patterns. Hooks size 2 to 8. Everything for tying flies is available at the guest house. 6 to 7 foot ultralight to medium rod with 200 yards of 6 to 10 pound line. Small jigs, pink or tan. Bring plenty because they are not available on the island. Rates include: Transfer airport/ lodge roundtrip. 6-night accomodation and 5-fishing days. All Meals and alcoholic beverages. Rates do not include: Transportation to Abaco Island, flies and other fishing equipment. Personal insurance and gratuities. Government tax. March was an amazing month for fishing; big bones, permit and tarpon... despite a few cold days, the weather allowed anglers opportunities to land nice sized bonefish, some over 8 lbs. A few anglers also enjoyed tackling mutton snapper, while other went out exploring new grounds in the northern part of Abaco. As the weather gets milder, the fishing gets wilder! It's shaping up to be a great spring season!